The 2018 Ford F-150 offers a number of safety technologies designed to make your journey even safer. These technologies all start from a common foundation: A durable, sturdy body that can roll with the punches. Each successive safety layer, including responsive brakes and the latest active safety technologies, builds on the layer beneath it to offer you a defense-in-depth safety platform that can protect you and your loved ones when you’re on the move. Read on to discover more about the remarkable Ford F-150 and how you can take it for a test drive today at Glenwood Springs Ford! The F-150’s aluminum-alloy body is the first line of defense when it comes to protecting you and your passengers. This body offers superb strength while weighing less than previous generations. It’s also more resistant to dents and corrosion. The Ford F-150 includes an Adaptive Cruise Control system that helps you pace against the vehicle ahead. It offers a stop-and-go functionality that will dynamically accelerate and decelerate to match the vehicle ahead at a preset distance. Pre-Collision Assist with Pedestrian Detection will continuously scan the road ahead to identify potential collisions. This system automatically connects to your braking system in the event of an imminent accident in order to mitigate damage. Lane-Keeping automatically vibrates the steering wheel when a departure from the lane is detected. This system can also initiate torque sensations to guide you back to the center. With an available 360-degree camera that includes a split-view display, the F-150 makes use of four cameras to create a helpful perspective that enables you to accomplish tight maneuvers and stay safe when backing up. To truly see the extensive safety and security technologies of the 2018 Ford F-150, visit us today at Glenwood Ford. We believe a test drive will help to demonstrate these remarkable safety features and help you to feel more comfortable with the automatic systems designed to keep you and your passengers as safe as possible when you’re on the move. To help you afford the right Ford vehicle for your automotive needs, our dealership offers a variety of financing services that can be custom-tailored to meet your specific credit requirements. 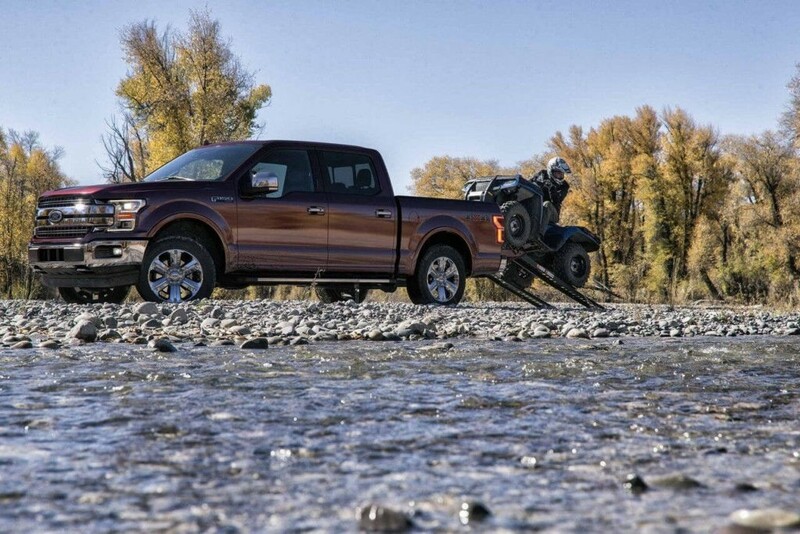 Contact us today to learn more about the Ford F-150 and how you can take it for a test drive at Glenwood Ford. We look forward to working together with you as you explore your pickup truck options!